The 5.3 litre V8 of the Virage is at the same time the essence and the Achilles heel of the car. In the next post I’ll describe how we solved all the major problems with it (none of which had been diagnosed by Aston dealers and specialists). In this one, I’ll cover a bit about the unit itself. The V8 was designed by Tadek Mayer, a Polish emigre, who sadly died in 1982, and it is regarded as one of the great modern V8s. At the time it was one of the the only aluminium V8s in production (all US V8s being cast-iron), and it was a massive unit, the same length as the big block Chevy 7.0 litre, but displacing 5.3 litres instead. That feature makes the engine pretty much unburstable, and it has a lazy, torqy feel, and the most magnificent burble as it thrums along through the countryside. The power output was around 330 hp, but the torque was an massive 358 ft lbs, which gives it surprising agility at pretty much every speed. By comparison, my Porsche 911 C4, despite having a similar power output, produces only 250 ft lbs of torque, and despite having 750kg less weight on board, only gets to 60 in 5.3 seconds against 6.5 for the Aston. 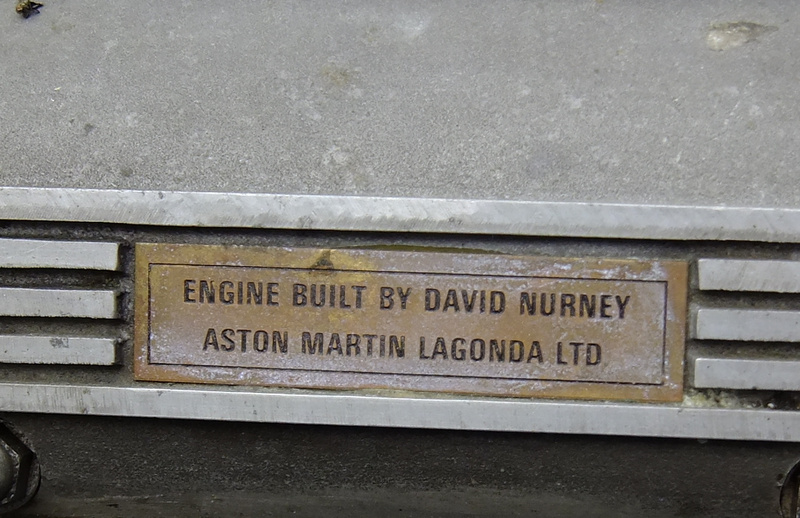 Every one of the Aston engines from this era was hand built, and each one has the name plate of the maker on the plenum chamber. Mine was made by David Nurney. He did a nice job. The V8 was originally developed as a replacement for the Mustang-like DBS V8. 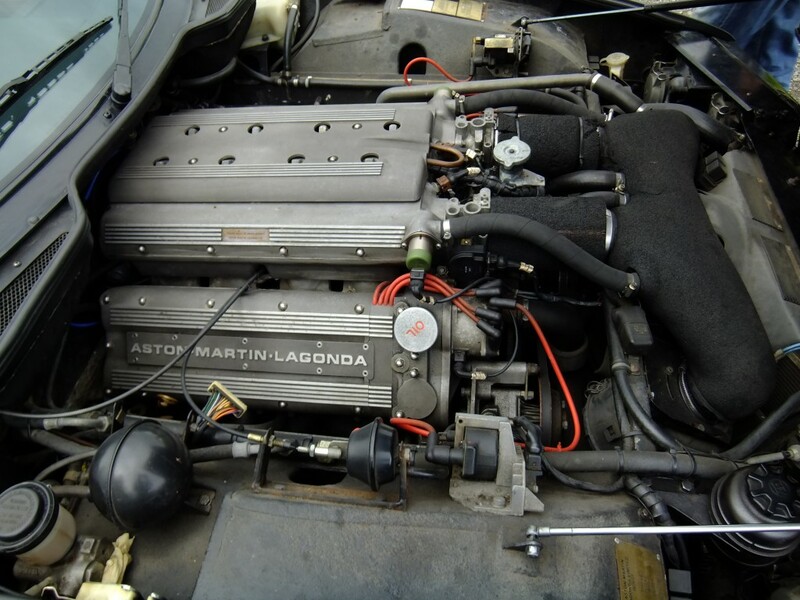 While it originally had twin Weber carbs, (which required a substantial bulge in the bonnet to accommodate them), in 1986 it was fitted with Weber fuel injection, and this car was the basis for the Virage engine. 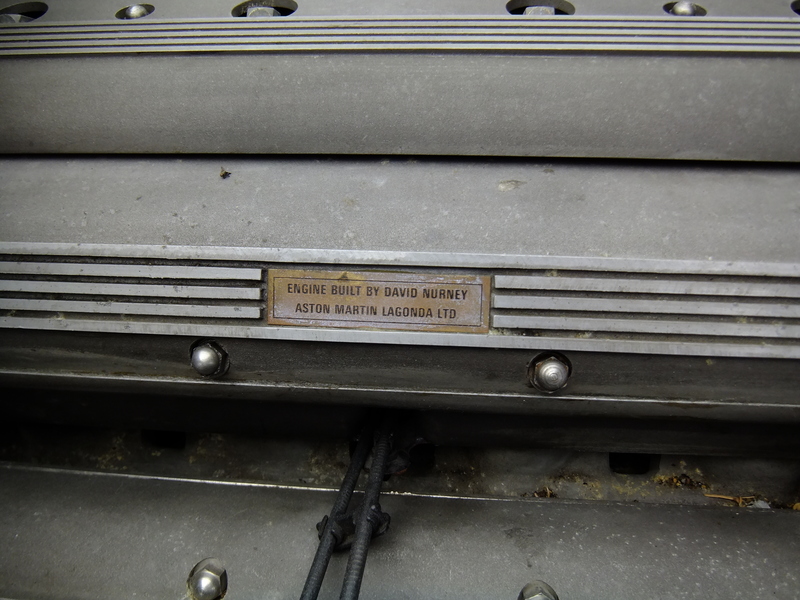 At that time Astons were having a tough time meeting exhaust emission regulations around the world, and it was decided for the new car to ensure a single engine could meet them all. To achieve this they moved to a complex 4-valve cylinder head to replace the simpler 2-valve system of the earlier V8s. The design was done by Callaway engineering, in the US, and produced the classic, if eccentric V8 of the Virage. The engine system is shown below. 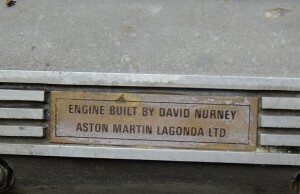 It is described as fitting ‘snugly’ into the engine bay. In practice while access is not too bad from the front, the block is tight against the bulkhead at the back, making access difficult, which creates a major problem with engine maintenance, as we will see from the next post. Most descriptions of the engine do not cover the ‘twin block’ management system, which makes things somewhat more complicated. Each block of 4 cylinders is run much as a separate unit, each with it’s own Engine Control Unit (ECU). In addition there are separate ignition systems, and two separate throttle units, each with air admittance valves for cold starting. We assume that synchonization is achieved via the crankshaft sensor, in any event, the two units work fine together. The Weber ECU system is pretty obscure – we can’t find much information on it, and it doesn’t seem to have been fitted to many other cars in this guise. So for maintenance, one is flying somewhat blind on engine management for the Virage. Air from the throttle units is fed into a massive plenum (=the opposite of vacuum) chamber for better mixing and even pressure distribution. The ECUs are mounted behind the front bumper, in a fairly exposed position, but so far we have had no major problems with them, or the engine management as a whole. However the electrics of the system are a continual problem if the car is laid up for long periods, as contacts dry up, and the very complex management system is dependent on them all working. Like most classic cars, the Virage performs best when regularly driven. Long periods of lay-up, followed by long drives tend to lead to embarrassing roadside situations in my experience. OK, that’s enough on the engine – this section is here mostly to lay the ground for the next post, which will cover two common engine issues, and how to fix them.